We all know it, that there are plenty of style and design options available while selecting a decorative layout for the living room. And, we even know that with various alternatives available in the market, it can be difficult to narrow it down to one. 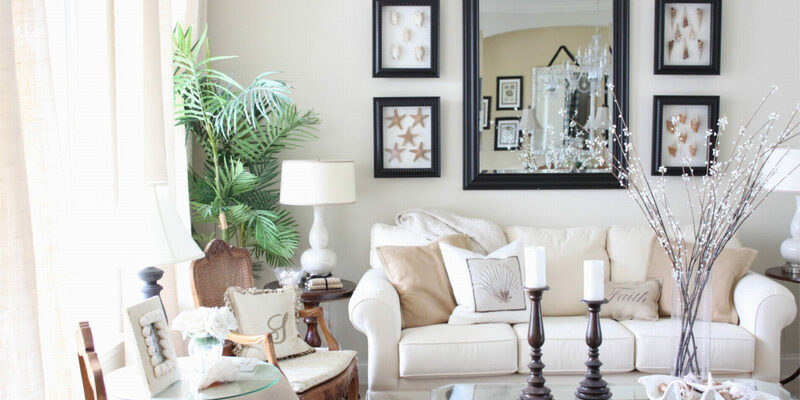 Therefore, up to your rescue comes an eclectic style living room, which in short is the best of all worlds of decor. The eclectic decor consists of a mix of many styles, with different patterns and colours balanced in a modern and dramatic appearance. 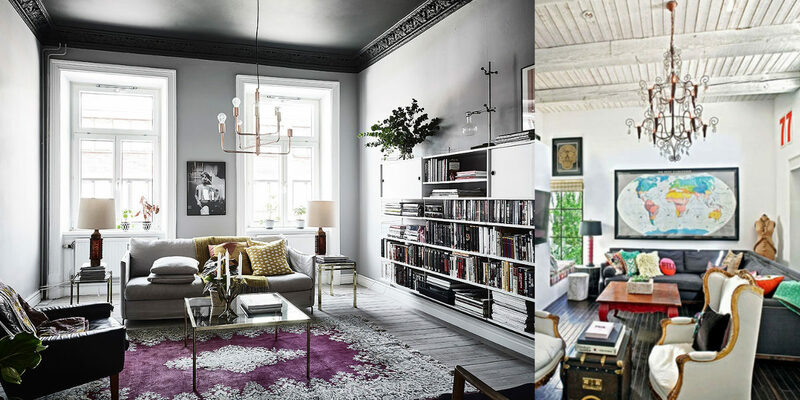 We have today compiled a list of 10 eclectic style living rooms to serve you with the best and wide range inspiration. This artistic style living room is a mix of both sleek and diverse. 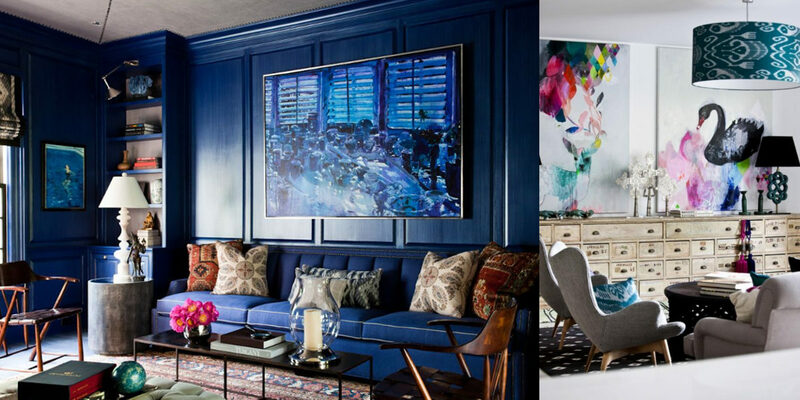 The black and white striped rug placed in complementing contrast with the navy blue sofa create an excellent contrast to the art wall on the back. The collection of modern abstract artworks transcends the look of the room from plain to assorted. The placement of the comprehensive set of artworks above the brown leather sofa brings a dramatic touch to the bold eclectic style living room. The room displays a harmonious blend of varied pattern and fabrics of different nature making the look comes out equally modern and stylish. This comfortable and warm living room carries an authentic and earthy value with the selection of furniture and accessories. 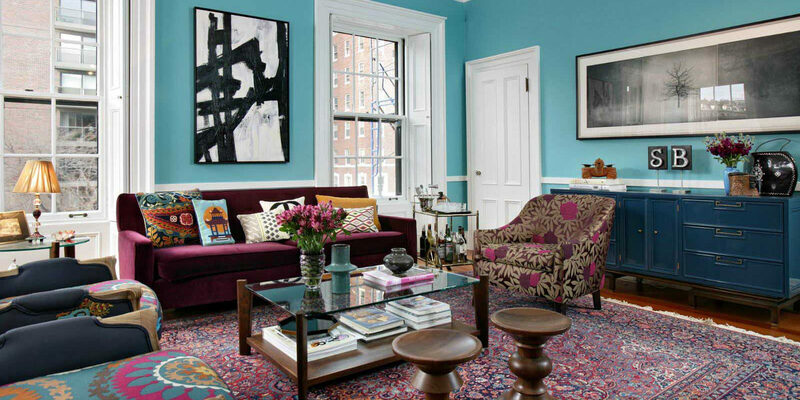 The ideal combination of colours boosts the eclectic value of the room. 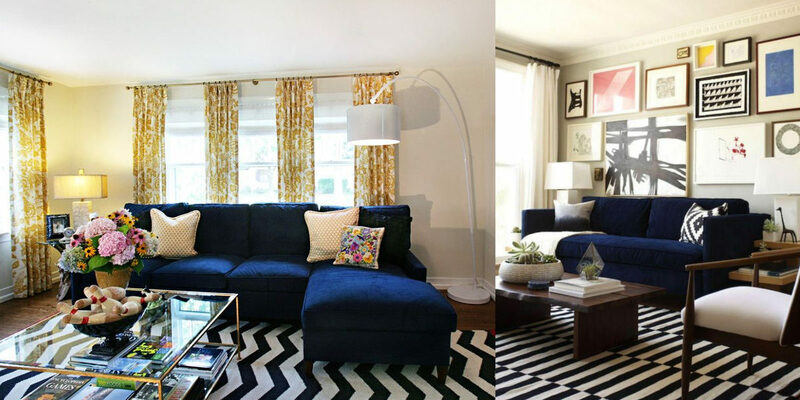 This family style eclectic living room features neutral as well as vibrant patterned material. Playing safe with the mix and match, the room maintains its spacious and bright value with the windows, mirrors and pastel coloured walls. This contemporary living room with the mix of dark and warm colour makes the room carry a sophisticated and distinctive look. 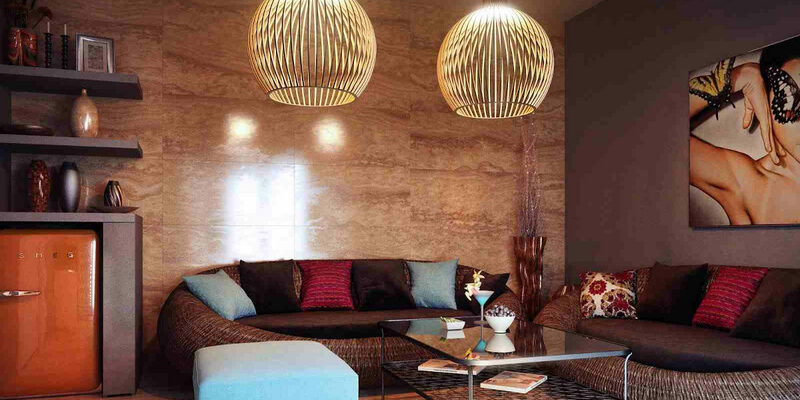 The rattan furniture of the room complements the dark textured walls and the ceiling pendants add an eclectic touch to the place. With a subtle and smart look, the eclectic decorative palette of the room consists of modern artworks placed right above the white sofa with lively floral pillows and a coffee table. The bold texture and patterned carpet provide the right balance to the eclectic look of the room. The dark grey walls match well with the decor of the room which is beautifully complemented with a vibrant purple coloured rug. Keeping minimalism as the key, the room incorporates industrial as well as classic modern touch. This eclectic style living room is the combination of light and moody. The sleek furniture and decorative feature on the wall are very modern and unconventional in their style and appeal. Extremely fashionable and bold, this couture style living room carries a large scale value with vibrant and classy artwork accentuating the sleek style of the furniture. The vintage cabinet and the modern wingback chairs provide an outstanding eclectic appearance to the room. 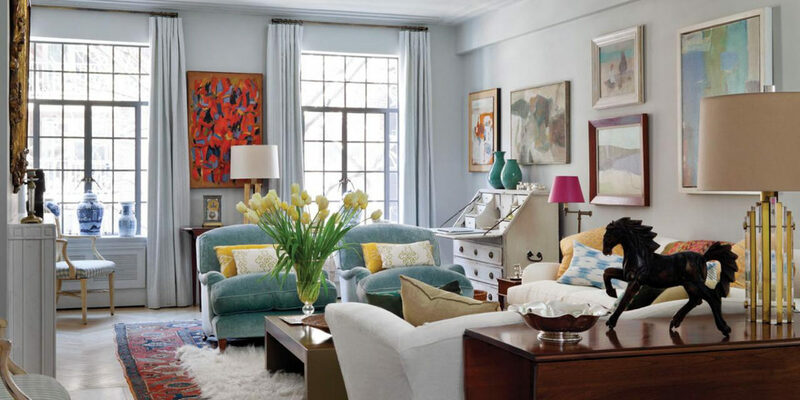 Small and casual, this living room carries a loose eclectic appearance. 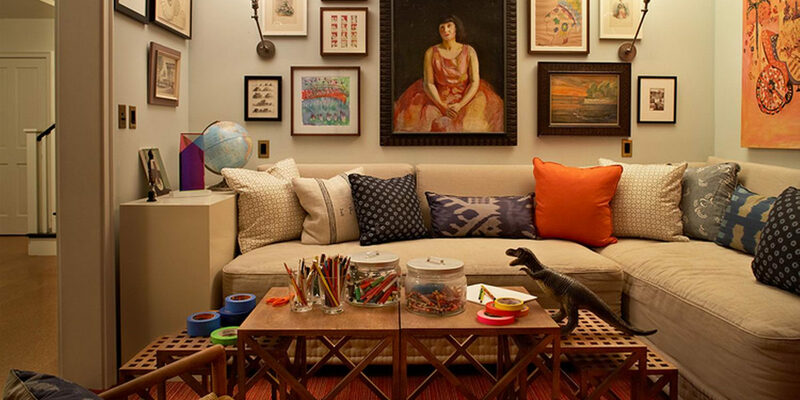 The brown leather sofa gives the room a modern touch and the quirky art and bold textures reflect an eclectic character. 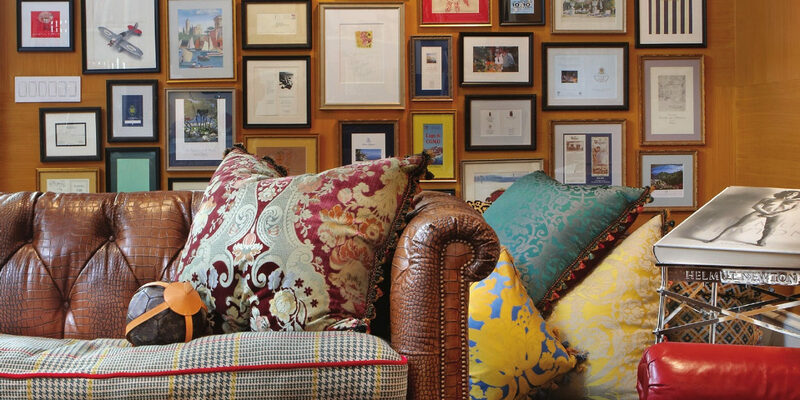 Take inspiration from the best suited and bring an eclectic turnover to your space.